PLM has three different ways to handle tabular data – as items in a workspace, as rows in a matrix field on an item tab, or as rows in a grid tab. This post will examine the difference between these options and present a short overview of how these options work. My intent is to aid you in deciding which method makes the most sense for you to utilize in different areas of your PLM 360 app. Befitting for this topic, I will present much of the content in tabular form. Work-spaces are far and away the most powerful type of grid in this regard. To begin with, a workspace can be tied directly into the Main Menu system. Once the workspace is displayed, users can choose what columns to display, set column widths, control the order in which the data is sorted, and apply multiple filter criteria to control what data is or isn’t displayed.Workspace cells can host of any type, including filtered pick-lists. Work-spaces can also be used one or more times as data sources for populating pick-list controls, which is a feature most applications will likely take advantage of. Matrix controls can only exist on an Items tab of a workspace. Column widths are dictated by the display width of the controls they contain. Column sorting is not available and there is no mechanism to apply filters to the data they display.Matrix cells can host controls of any data type, including filtered pick-lists. An important thing to know about Matrix controls is that an item tab can host more than one of them if need be. Grid tabs can be added to any workspace. Like matrix controls, column widths are fixed based on the display width settings of the fields they contain. Neither sorting nor filtering of displayed data is supported.Grid tab cells can only host controls associated with the more basic data types. For example grids do not support “Auto-number” or “Derived” data types, the latter of which is used to implement filtered pick-lists. Additionally, only one instance of a grid tab is allowed in a work-space. Workspace rows can be populated manually or by using PLM’s built-in ability to import Excel spreadsheet data. New rows of data can be added at any time, and to my knowledge, there is no limit on the total number of rows they can have.Once populated with data, aggregation of that data — sorting, grouping, subtotaling, etc. — can only be accomplished via PLM 360’s reporting capabilities (see below). 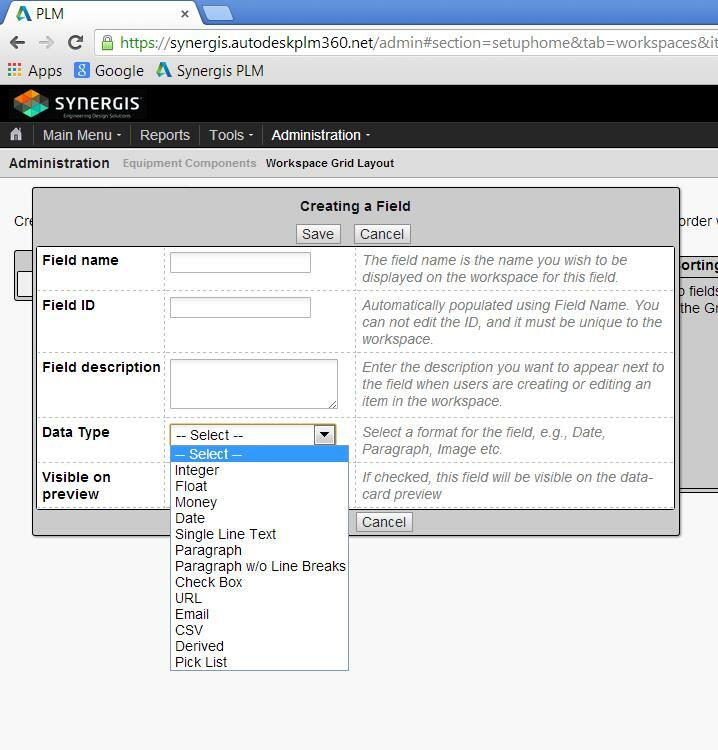 Cells in matrix controls must be manually populated with data, and new rows can only be added via the Workspace Manager interface which is only available to PLM 360 Administrators’.Matrix controls do not support aggregation of data in any form. Much to my initial surprise, there is currently no way to batch import existing data into grid controls, so all data must be entered manually. In my mind, this is a major limitation and will likely impact how many PLM 360 applications are designed. In cases where small numbers of rows are involved, this will not be concern. But in solutions where a grid needs to have hundreds of rows or more, the effort of getting existing data entered into them might be prohibitive.On the other hand, grids provide the ability to group like rows together and display calculations on those groups (sum, avg, counts) as well as on the contents of the entire grid if desired. Because PLM 360’s three mechanisms for handling tabular data share the same reporting interface, the types of outputs that can be generated from the data they contain are identical. Besides the obvious uses of workspaces in PLM 360 applications, it makes sense to me to also use them in place of grid tabs whenever I need to give PLM 360 users access to large amounts of existing data that currently reside in external documents and/or systems.I would also choose to implement a workspace if I need to give users a great deal of control over what data gets displayed and/or how it is presented (columns, sorting, etc.) 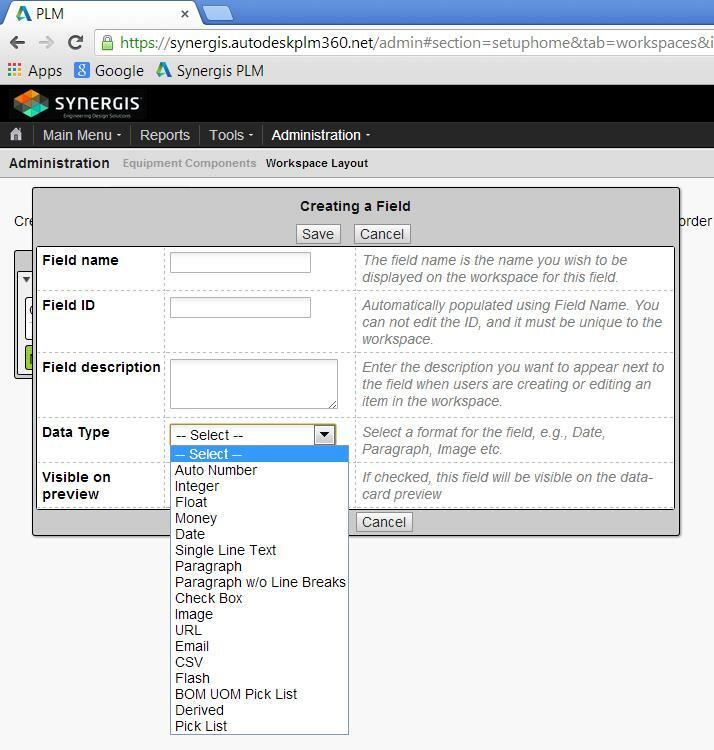 These capabilities might well be critical to users who need to work with your PLM 360 apps on mobile devices. I think matrix controls make the most sense for entering or displaying very small amounts of data where the number of rows is small and essentially static. I think grid tabs make lots of sense for entering new data, especially where the ability to use its aggregation capabilities might come into play. Good examples of this might be tracking project expenses by budget category or inputting inspection dimensions. Stay tuned and I will share more soon! 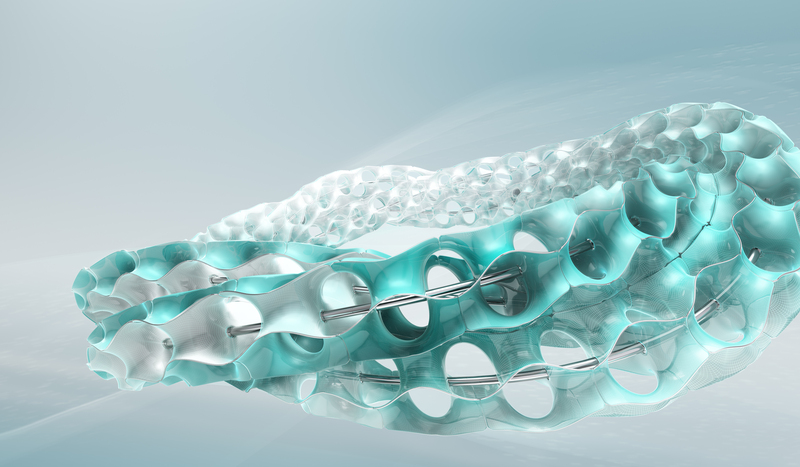 David Wyer has over 25 years of CAD experience, eight of which focused on data management and extending the functionality of Autodesk software. David is a member of the Autodesk Developers Network, joining Synergis in 2011. Prior to this, he was a data management applications engineer, responsible for data management and CAD needs analysis and implementation and support relating to these products.